Billions of users. Billions of dollars. Millions of products. Planet-wide reach. Sell everything: apps, games, hardware. It’s Microsoft Marketplace Services. If you are excited by working on software at the scale of one of the largest online marketplaces in the world then this is your dream job. The Universal Store team is developing some of Microsoft’s largest scale and business critical cloud services. These services have a huge global footprint of over 240 markets and process millions of transactions daily, with loads growing linearly as Microsoft moves to a “cloud first”, “mobile first” strategy. 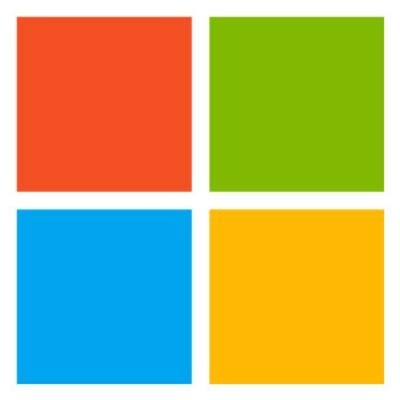 The platform powers all of Microsoft’s key services - Windows App Store, Windows Phone, XBOX, Bing Ads, Office 365, Azure to name just a few. Whether renting a movie or buying a game on Xbox LIVE, purchasing an app on a Windows or Windows Phone device, signing up for an Office 365 subscription or paying for Azure services, you are using the Universal Store platform. We are the Marketplace Services team and are responsible for the services which power Microsoft’s marketplace. We specialize in a massive transactional infrastructure that handles the core commerce functionality of Xbox Live, Windows and Phone services. Every time a customer searches, buys, or gets a license for a product in the marketplace, they are using a Marketplace Service. If you have a gamertag, or if you’ve used your Xbox, Windows Store or Windows Phone to purchase a game, a song, a video, a subscription, or an app, then you’re one of our customers. We’re looking for great developers writing excellent software. If you have a history of designing, owning and shipping software, as well as excellent communication and collaboration skills, then we want to talk to you. You should have a solid understanding of the software development cycle, from architecture to testing. You’ll have a passion for quality and be a creative thinker. You’ll write secure, reliable, scalable, and maintainable code, and then effectively debug it, test it and support it live. You should be comfortable owning a feature and making decisions independently. Be a great manager, mentor, and leader of the team and broader organization. You will manage a team of between 5 and 8 developers. Be a great process engineer. You will be accountable to the design, implementation, schedule, delivery, of your team’s services. Doing this in an efficient way is a must. Earn the technical respect of the people on your team. This is a technical position and the ideal candidate should be capable of working in the code, supporting the service, and understanding at a detailed level how the software works. Be the software architect: we will look to you to have an informed opinion about what and how the software should evolve and have the ability to land your plan in the division. Experience building scalable cloud services, distributed systems, and/or database systems would be a definite plus. 10+ years demonstrated experience in designing and developing enterprise-level internet scale services/solutions. Strong design and programming skills in C# or Java. Experience leading and influencing virtual teams of developers to deliver global, highly available, highly scalable services. Understanding and experience in Machine Learning a plus. Expert hands-on software development expertise including object oriented design skills, .NET etc. Excellent communication skills, including the ability to write concise and accurate technical documentation, communicate technical ideas to non-technical audiences, and to lead development teams. Master or Bachelor degree in Computer Science, Computer Engineering, or equivalent with related engineering experience is required.